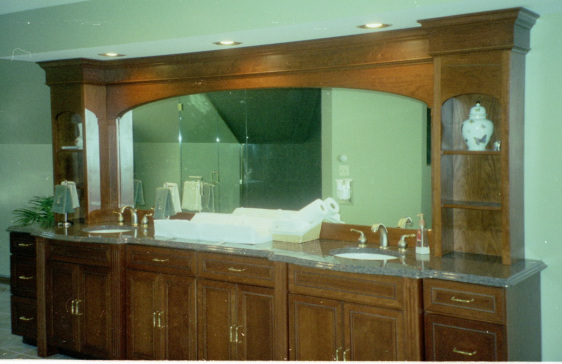 This bathroom has a vanity made of cypress with an oil finish, and matching wainscot of the same material. 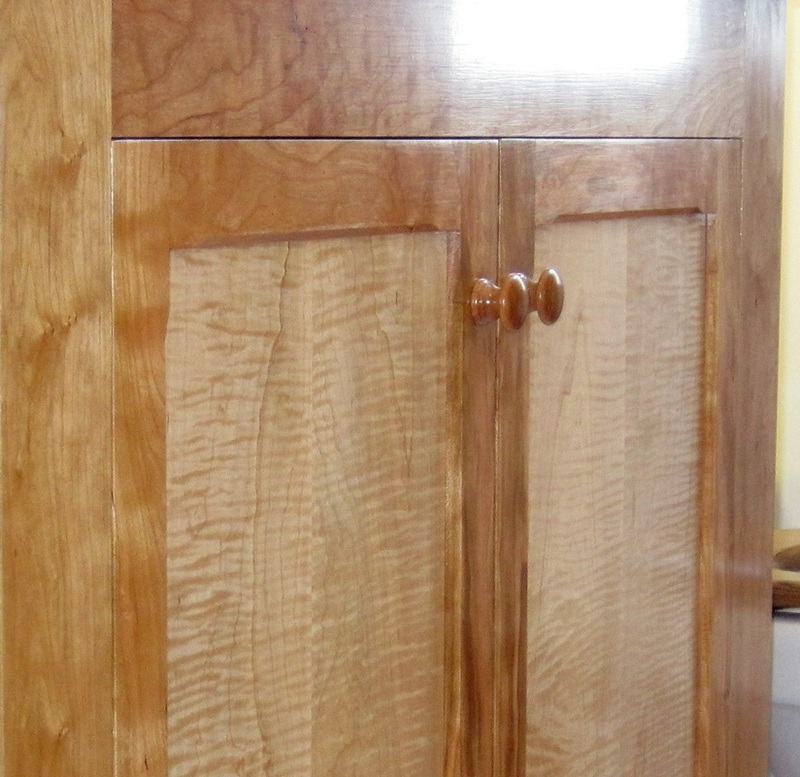 It makes for a unified and warm-feeling room. The large mirror spreads the light around. 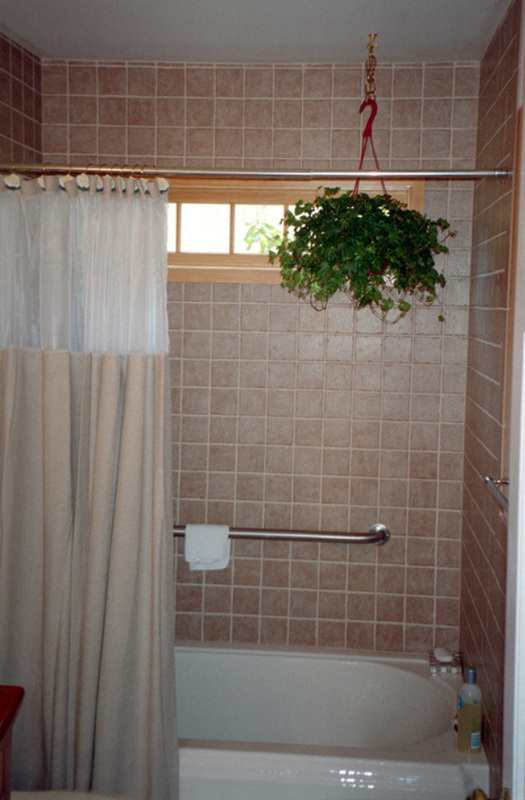 Here's a tub/shower with an earthy ceramic tile, ample Kohler cast iron tub in Biscuit, and a custom transom window of cypress. 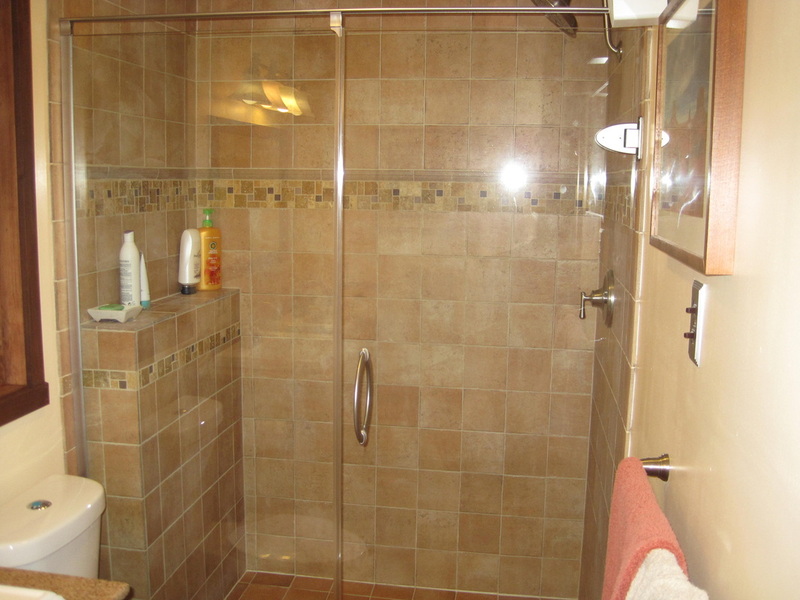 This is a nice walk-in shower with Italian tile and a slick hinged glass door. 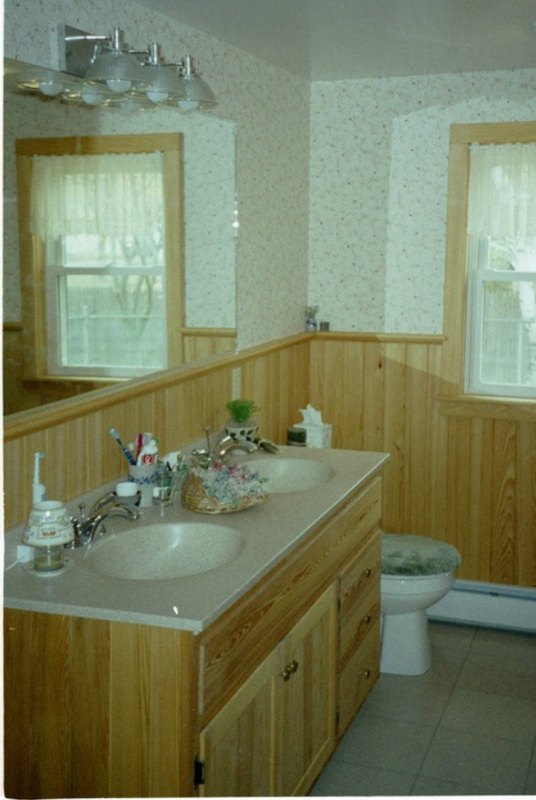 The two photos below show an all wood (no plywood) vanity and top of solid cherry, with a ceramic drop-in bowl.